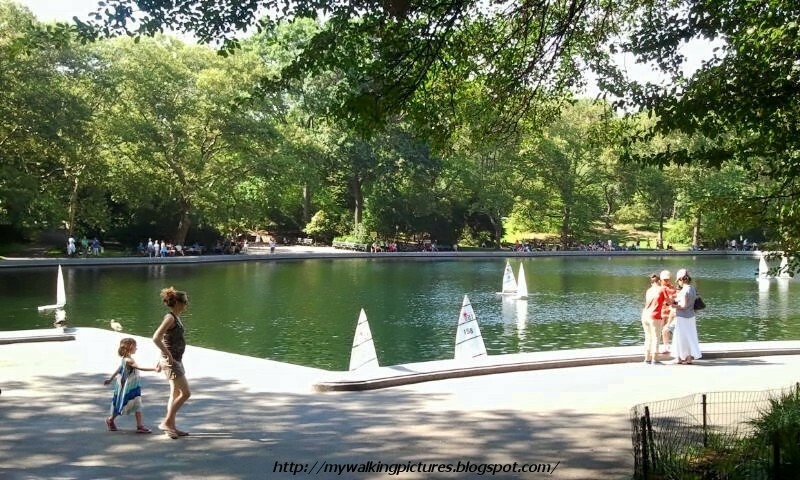 This past summer, I've spent a few Saturdays walking around the Conservatory Water in Central Park. 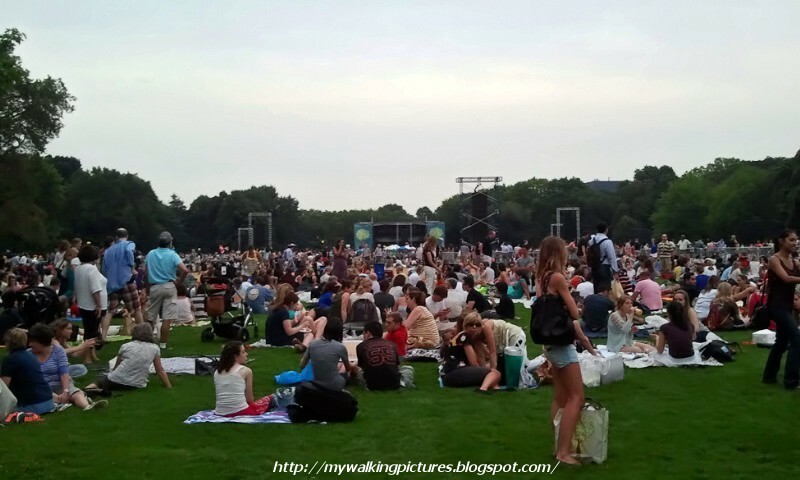 Last July 13, the New York Philharmonic Orchestra gave a free concert in Central Park, at the Great Lawn. 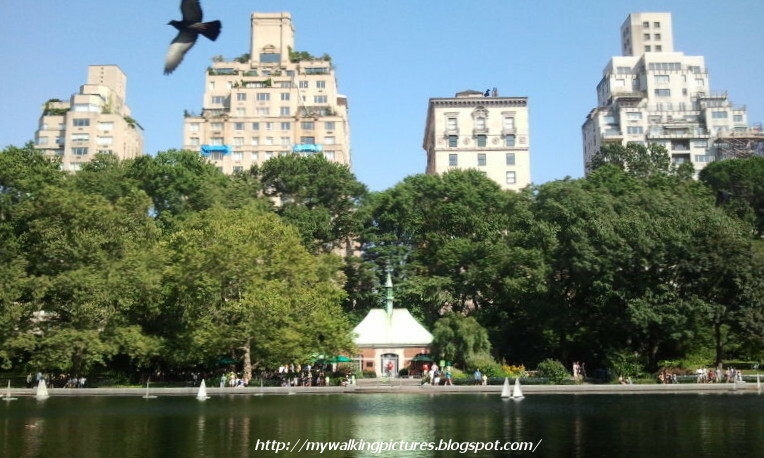 I entered the park through the East 72nd Street gate and turned right which led me right to the Conservatory Water. 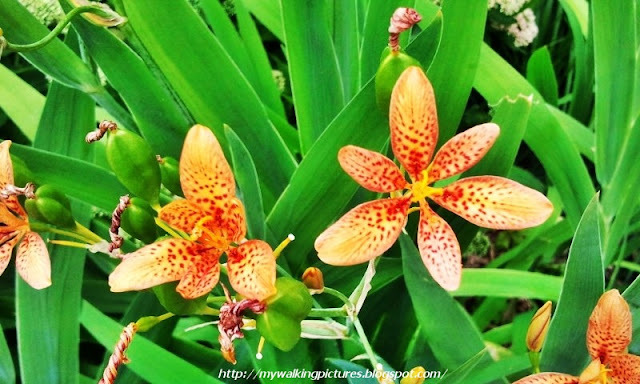 These were the flowers blooming around the area at that time. I stopped by for a bit before proceeding to the Great Lawn for the concert. Here's a nice article about the concert, the NY Philharmonic gave two concerts in Central Park and I went to the first one. This was what the Great Lawn looked like before the start of the concert. When I was passed by the Conservatory Water at that time, two flowers (see above pic) caught my attention. 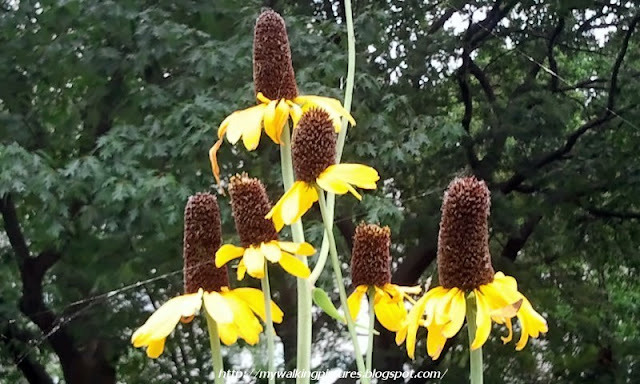 The one at the bottom center of the collage I know is a coneflower but I've never seen this type of coneflower before so I did a little search. Learned it's a prairie coneflower, its flowerhead is so long. 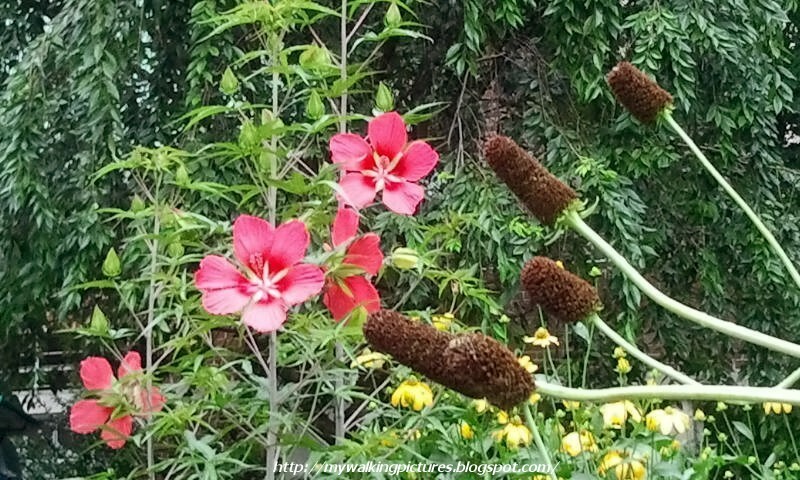 The other flower that kind of intrigued me was the orange one in the lower left of the pic. I was fascinated by the part of the flower that's twisted. Turns out it's a blackberry lily and its flowers only last for a day, drying with a twist into tight spirals, then falling as pods develop. The Central Park Conservatory Water was initially intended to be a small pool for a glass house and a formal, ornamental flower garden. However, the upkeep of the plan proved too costly, and the body of water became a model boat pond. 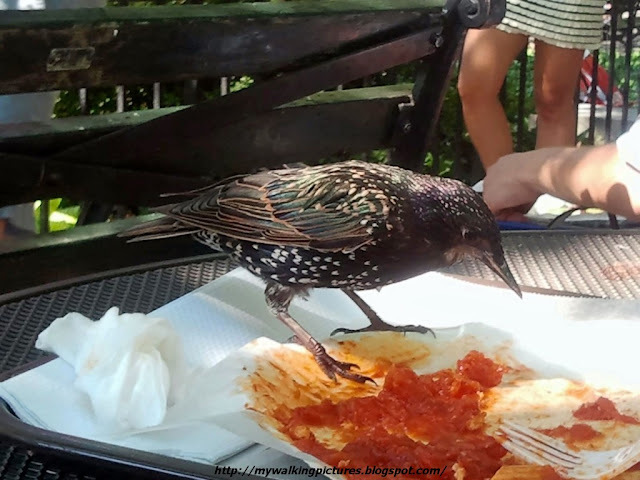 From the Central Park website .. The original plan for Central Park called for a formal flower garden and a large glass house, or conservatory, for tropical plants. An ornamental pond was constructed as a reflecting pool for the conservatory, but when the plan for a structure was abandoned, the water body became the popular model boat pond, inspired by those in Parisian parks. 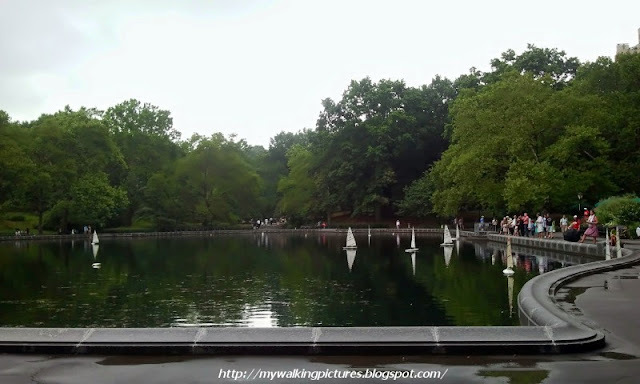 Two weeks after that concert, I walked in Central Park again with the intention of going to the Conservatory Water and enjoy the model boats. 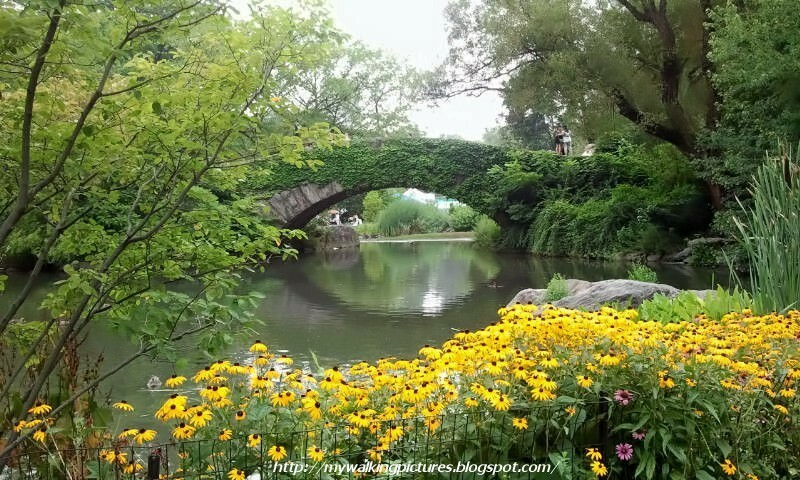 I went to the park through the Pond area where the Gapstow Bridge looked so pretty with all the black-eyed susans around it. I also passed by the statue of Balto. I remember watching a movie about him several years ago. 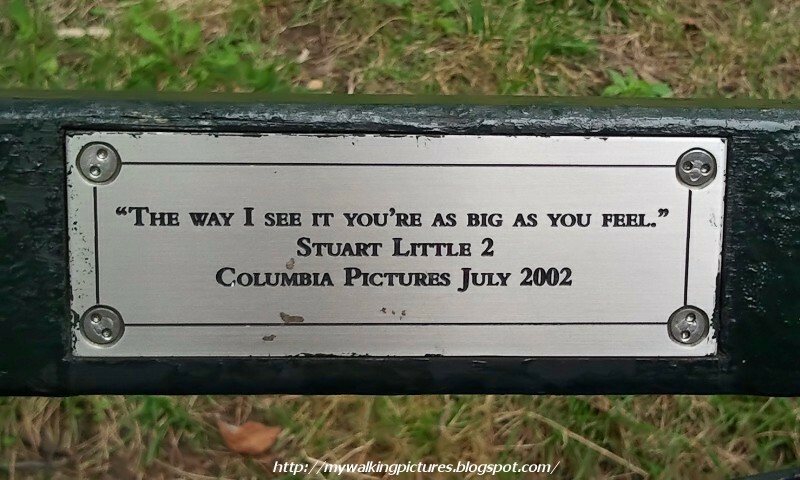 Near the southern edge of the Mall, I saw a bench plaque dedicated to Stuart Little. 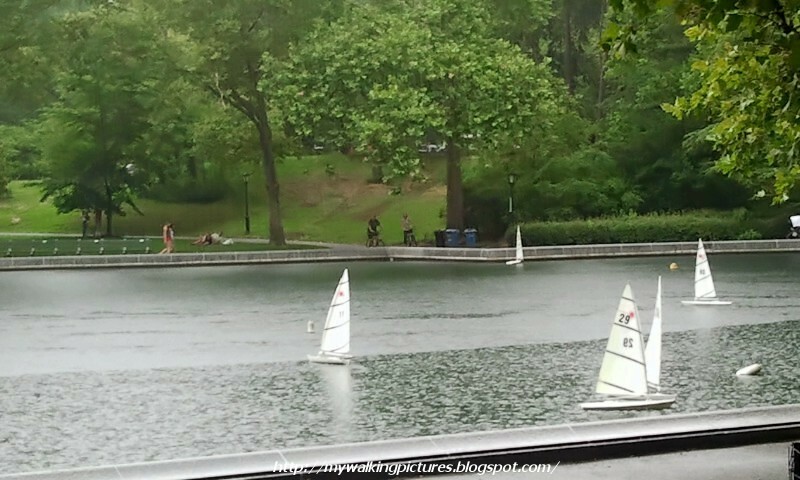 I still remember that boat race scene from the movie, which was shot at the park. 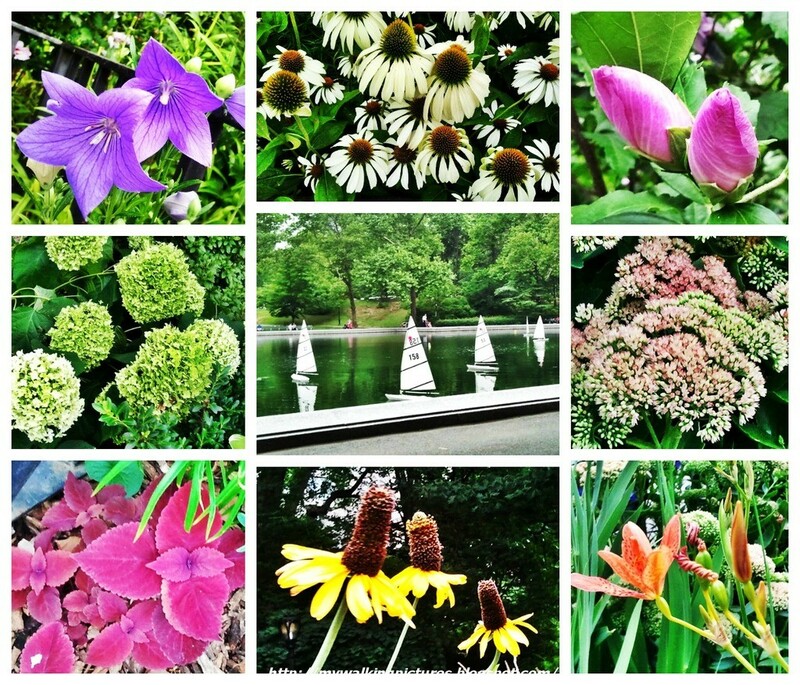 The day was a rainy and gray but the flowers were blooming. The swamp rose mallows look pretty while only the flower heads remained of the prairie coneflowers I took pics of before. 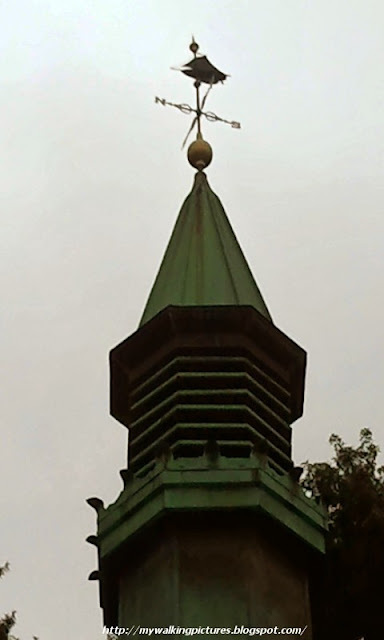 As I went around the area, I noticed that the weather vane on the steeple of the Kerbs Memorial Boat House is decorated with a little boat, how cute! The Kerbs Memorial Boathouse replaced an old wooden structure in 1954 after it burned down in the early 1950's. 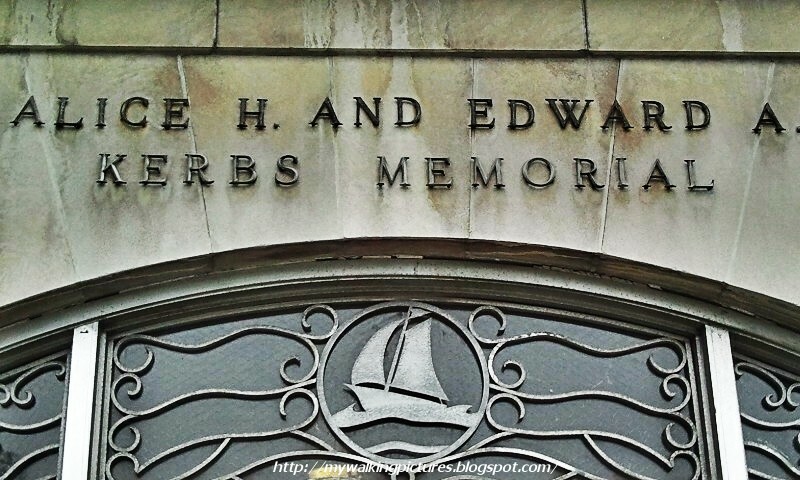 The new building was sponsored by the Kerbs family in memory of Alice H. and Edward A. Kerbs, who enjoyed watching the beauty of the boats on the pond from their Fifth Avenue apartment window. 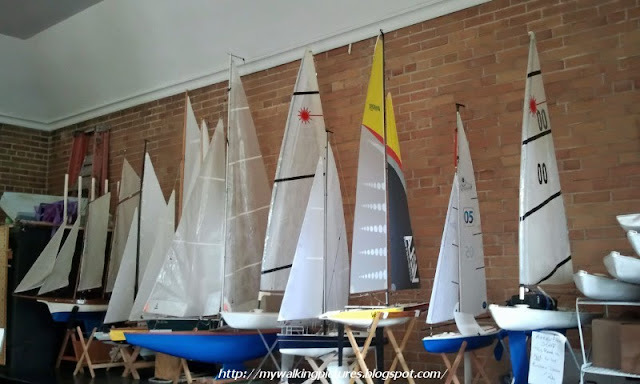 Inside the boathouse are rows and rows of remote controlled, wind-driven model sailboats. More from the Central Park website ..
On pleasant days, a variety of model ships, most remote-controlled, glide across the water. 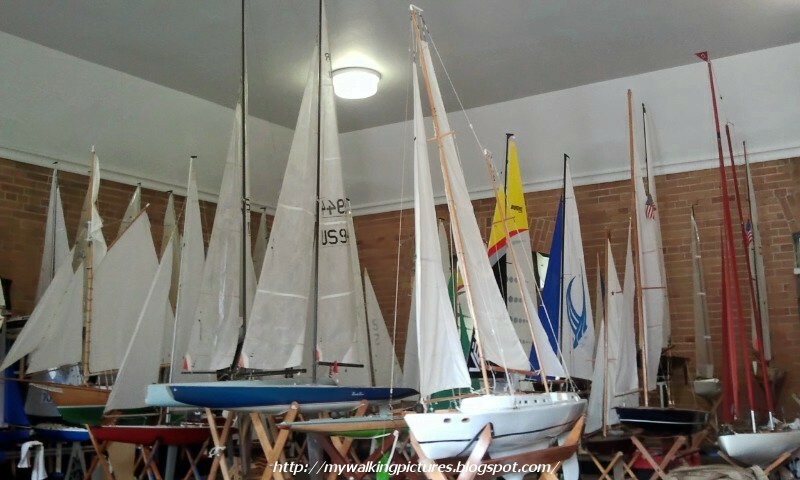 The sailboats are either privately owned or rented at a cart provided by the boathouse. On Saturdays, beginning around 10 am, races are held on the water with kids and veterans alike. It’s at this spot that Stuart Little, the beloved character of E.B. White’s story, sailed his fictional sailboat to victory. Finally, it started to rain hard and some of us took shelter at the cafe while the model boats were still sailing in the pond. The week after that rainy day walk was the first day of the New York Summer Streets. 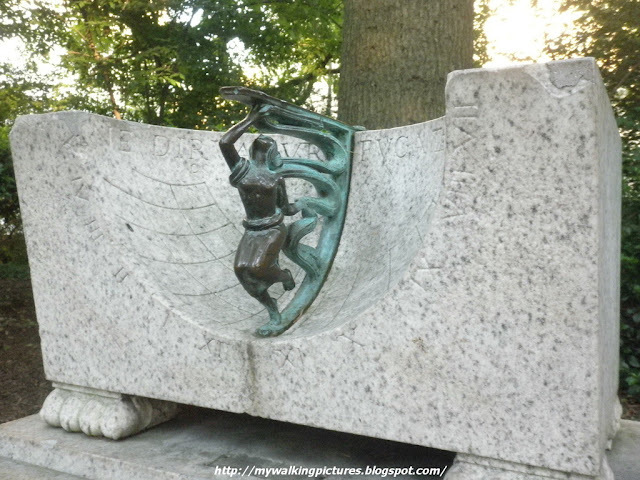 The route should have finished at 72nd Street, near the Conservatory Water but since I stopped by to take pictures of the new public art featuring Niki de Saint Phalle, vehicle traffic has already resumed along Park Avenue. I still continued to walk towards the East 72nd Street entrance of the Park, and proceeded to the nearby Conservatory Water to have lunch. I enjoyed the pasta of the day at the boathouse cafe, while a common starling decided to check my plate. 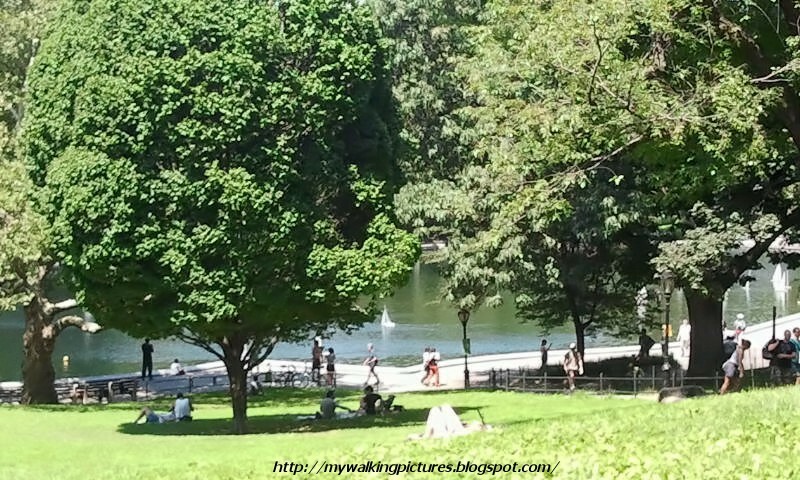 I then went around the Conservatory Water area. 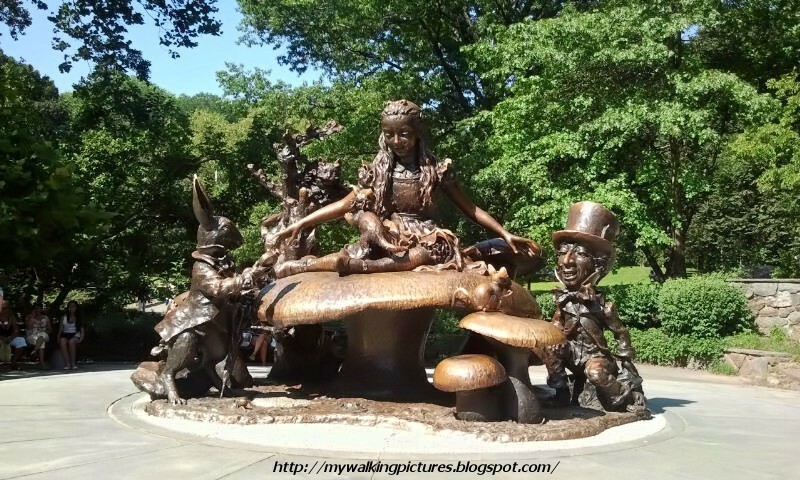 At the east of the boathouse is the much beloved and much climbed statue of Alice in Wonderland, with the Mad Hatter, the White Rabbit and other friends. There was a gap in between people who wanted to pose with the statue so I enjoyed that rare moment to take a pic of Alice without a child in sight. When you walk around the Conservatory Water and stop across the Kerbs Memorial Boathouse, you can see the buildings along Fifth Avenue. Many photographers take post at that area across the boathouse so they can take pictures of Pale Male and his mate, especially if their nesting attempts are successful. 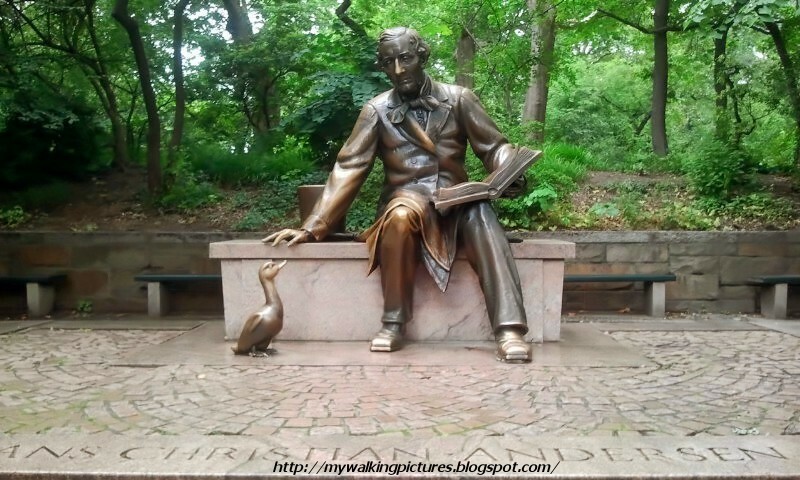 This area is also where the sculpture of Hans Christian Andersen is located. 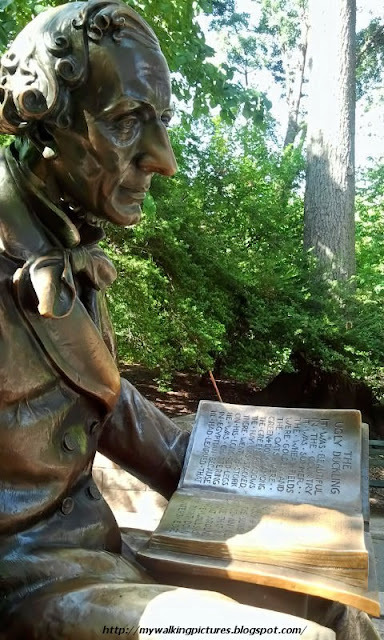 He's seen with a special friend reading a book. Can you guess what story he is reading to his friend? 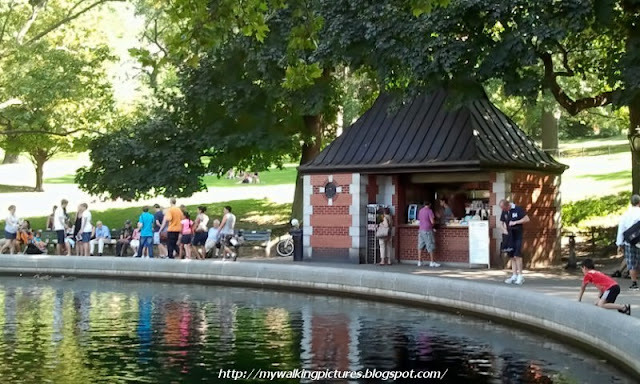 There is another structure around the Conservatory Water selling some snacks. 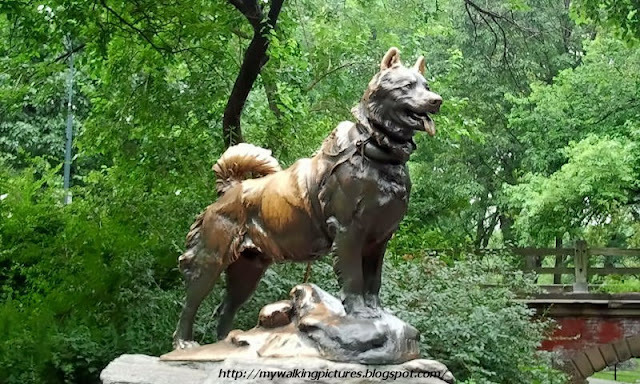 It is right across the sculpture of Alice and her friends. Here's another pic of the model boat pond taken between the above snack house and the Kerbs Memorial Boathouse. On my way out, I passed by the Waldo Hutchins Bench, which is very near the East 72nd Street gate. 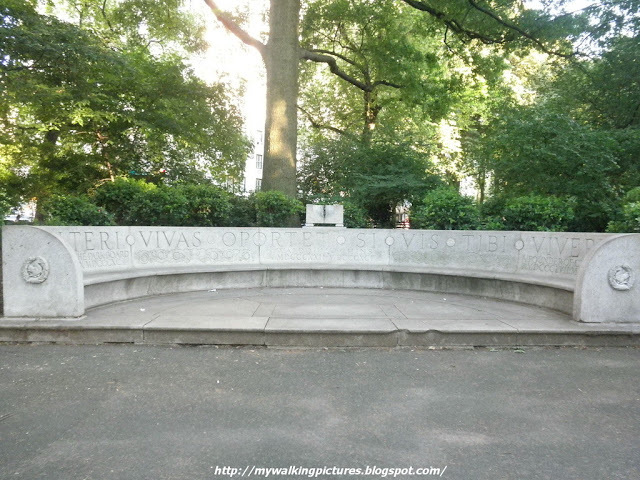 This unique bench bears the latin inscription: Alteri vivas opportet si vis tibi vivere (One must live for another if he wishes to live for himself). 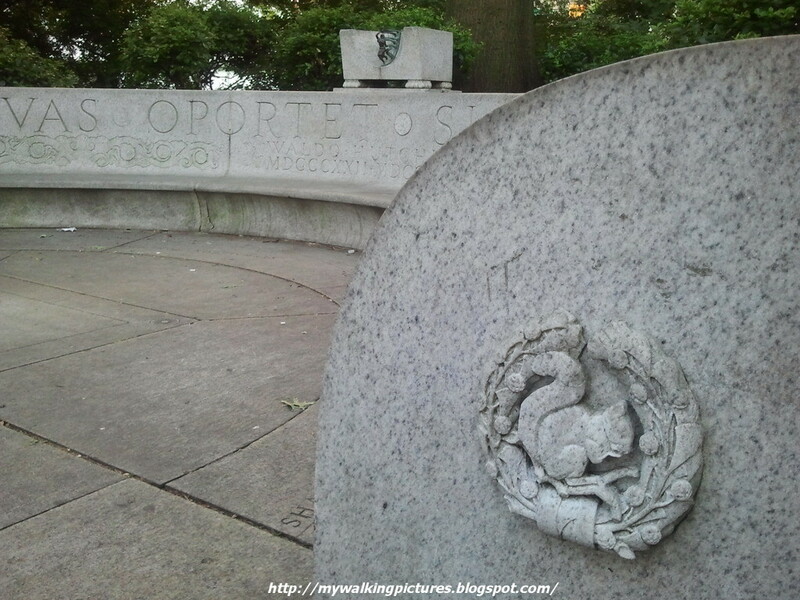 If you look closely at the center, you could almost see the sundial, and those circles by the arm of the bench are really great representations of Belvedere, one of the park's mascots. Here's a close-up pic of the sundial. The latin inscription around it says: Ne diruatur fuga temporum (Let it not be destroyed by the passage of time). That's my fervent prayer, too. Central Park has given a lot of people many wonderful moments, I hope it stays as beautiful for the future generation as it is for us today. More pics on my Conservatory Water album on Flickr.